Unlock Classrooms within the Online World of Dora's Explorer Girls! 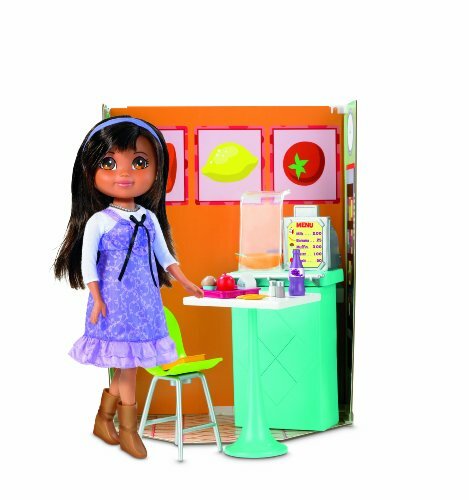 The Cafeteria is in scale to any of the Dora's Explorer Girls dolls and comes with all of the following accessories: Cafeteria Background, Food Display Counter, Cash Register, Table, Chair, Menu, Food Pieces, Bowl, and Spoon. PC-Compatible; Dora Links doll sold separately. To expand your online play, you merely enter the Secret Explorer Girl code included and you will unlock a brand new location and activity in the Explorer Girls' world! 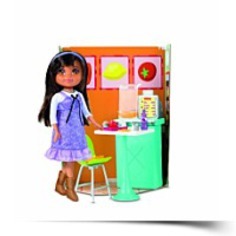 Size: Accessory for Dora's Explorer Girls Dora Links Doll; NO DOLL Included. Sizes may vary. Package Dim. : Height: 5.9" Length: 13" Depth: 10.6"